MARKONEE hails from <?xml:namespace prefix = st1 ns = "urn:schemas-microsoft-com:office:smarttags" />Italy and this brand new CD called ’See the Thunder’ is their<?xml:namespace prefix = o ns = "urn:schemas-microsoft-com:office:office" /> second full-length release. 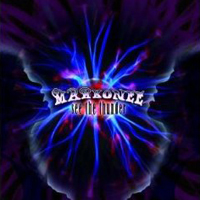 MARKONEE plays quite typically 80’s melodic hard rock in the same vain as bands like; Winger, Ratt, Gotthard, Warrant and Mötley Crue. So nothing new and groundbreaking here however ‘See the Thunder’ has turned out quite solid in my humble opinion. The CD opens with the weakest track of the bunch... namely the uninspiring “Way 200” but things get way better with the next one; “Woman & Whisky”. A track packed with catchy hooks and a very catchy chorus. And catchy hooks and catchy refrains is just what MARKONEE is all about. Almost every single track, except for a few fillers, contains catchy riffs and quite memorable choruses. The production is also solid. Every instrument is clearly audible so there’s no reason why you shouldn’t at least check this band out if you’re into the above mentioned bands.